Posted in Uncategorized	by Jessica W.
Good Sunday morning, lacquer lovers! Aren’t Sunday mornings wonderful? I love to sit with a cup of fresh coffee and just enjoy the start of the day. 🙂 Let’s start off with the gorgeous Zoya Arlo, shall we? 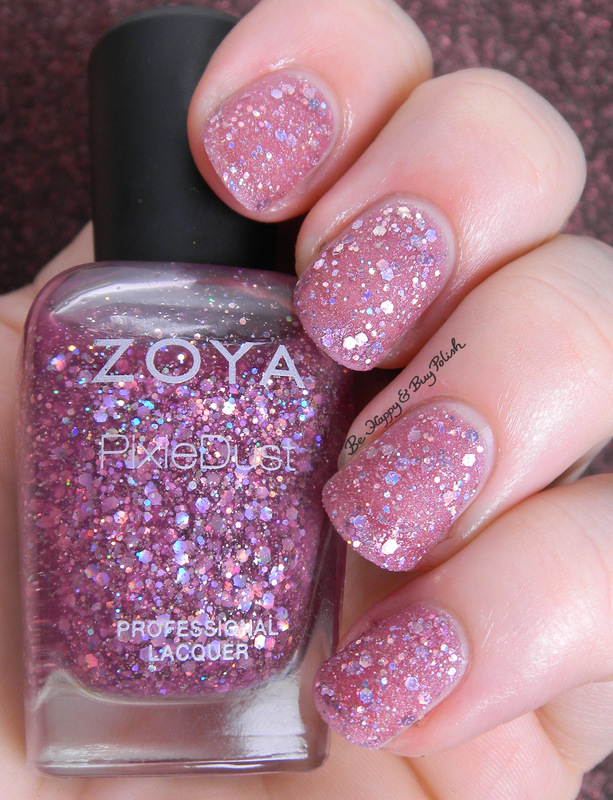 Zoya Arlo is a Zoya Pixie Dust nail polish (which is textured). This has a fairly sheer light purple/pink base with holographic glitters of various sizes. Be Happy And Buy Polish: Have you ever avoided a messy manicure because of the cleanup you’d have to do? Jessica reviews a product from Ellison’s Organics that will help you out! Lola’s Secret Beauty Blog: EcoBrow Defining Wax and Brush are the perfect duo to achieve anything from subtle brows to the boldest of the bold. The formula and buildable coverage are just outstanding! I hope you have a great rest of your weekend and I’ll see you tomorrow for some fun nail art!